Breakfast is served with the freshest in quality hand-picked beats, with a side of classic tunes. Music makes the world go round and coffee keeps the engine running. Regular guests from the creative community, music & ticket giveaways. Ian Beatmaster Wright: Originally from the south of England, Ian Beatmaster Wright relocated to Auckland, New Zealand in 2012. Ian has been a hip hop, funk and breaks DJ for over 20 years. 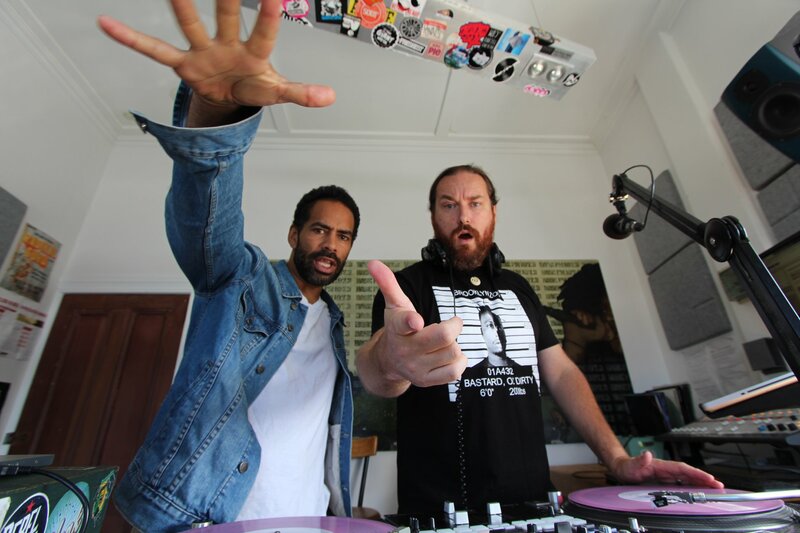 He’s been a DJ on Base since 2012; first rocking the Thursday night show ‘ILL BEHAVIOUR’, then moving on to host ‘Friday Drive’ and now the host of Base Breakfast bright and early every Mon, Tues, Wed and Fri.
Daniel Weetman a.k.a DJ SuLu: A core member of world famous kiwi band The Black Seeds, joins Beatmaster for banter and beats every Mon, Tues and Weds. Throwing down fun facts and also digging into his own personal crates (and soul).